The Android development Operating System is the best OS in the world which is developing a smart application for Android smartphones. As we know that it is an open source user operating system network. According to the economy of the Android user in the world, India is the 2nd largest country. At present time of this era, the technology depends on one touch service which is possible by android development. The increasing time of Android development is developed the smart application like social application, travel application, etc. Seeing this thing student are looking for industrial training and career in android development. As we know that the android is Linux based open source operating system for Android smartphone and tablet devices. That offers a unified app development in a simple way those the interface is a fully different comparison to other operating systems like ios and blackberry os. The android application development has lots of features to that present the best user interface to attract to users. Also, it provides the best-customized app solution by side f google android development. Because Google is focused on making the best User interface to customize the android application for the business purpose and android developers. The requirement for innovative App Developers is increasing in the current IT and software job market. An Android application development can also be used up as a full time or part-time job, where you can develop your own android applications which help to submit it to the Google Play store that can be downloaded. The Android Programming learning development is reasonable, easy and development of the application is cost-effective. The support for Android development is the usual important demonstration of Android development is backing by Google development. At present time everyone can access the android application in a smartphone because the services of android application are fully user-friendly in the present era. That’s why the enthusiasm of training students in Android is increasing. Its fully innovative and creative development process that’s why everyone attracts with this application development, due to this, it improves the quality of your Android app development. Every app is too much cheaper on google play store due to this effect everyone wants to develop own app for the business purpose. 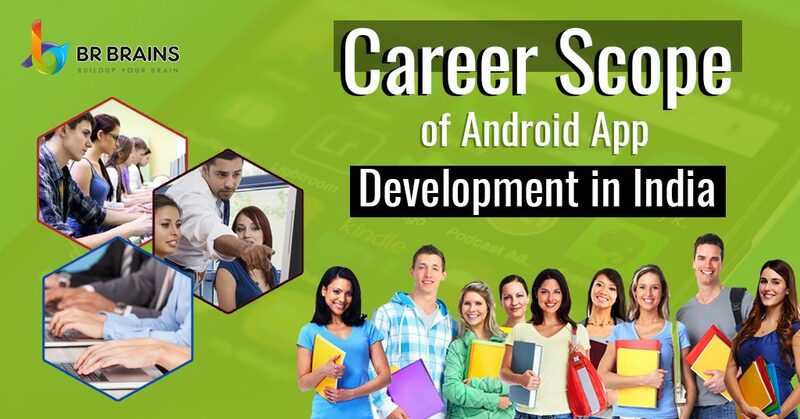 If you really interested in the android development training in Jaipur you can visit on our BR Brains website to take career and job opportunities with industrial training.